A new leader stood before the American people on March fourth, nineteen thirteen. He was Woodrow Wilson -- the twenty-eighth president of the United States. This week in our series, Kay Gallant and Harry Monroe begin the story of Wilson's presidency. KAY GALANT: Woodrow Wilson had spent most of his life at Princeton University. First he was a professor. Then he was university president. Next, Wilson was elected governor of the state of New Jersey. His early success as governor made him a leading candidate for the Democratic presidential nomination in nineteen twelve. Wilson traveled widely around the country during the campaign. He made speeches to many groups. He tried to make himself and his ideas known to as many Americans as possible. HARRY MONROE: Wilson called his program "the New Freedom." One of his campaign promises was to fight for better conditions for America's small business owners. Such proposals helped him win the Democratic nomination for president. Then he defeated President William Howard Taft and former president Theodore Roosevelt in the election. Woodrow Wilson, the former president of a university, had become the president of a nation. 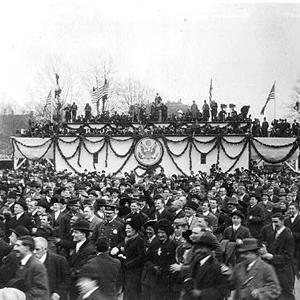 The largest crowd in Washington, D.C.'s history welcomed Wilson outside the Capitol Building on the day of his inauguration. He called on the American people to join him in making the country a better place. "Our duty," Wilson said, "is to correct the evil without hurting the good. I call all honest men, all patriotic, all forward-looking men to my side." KAY GALANT: Wilson wasted no time. He immediately called a special session of Congress to act on Democratic campaign promises to reduce import taxes, or tariffs. Wilson felt strongly about the need to reform these taxes. He broke tradition by leaving the White House to appear before Congress, in person, to appeal for his tariff proposals. Many members of Congress opposed Wilson's plans. But the new president used the results of a Senate investigation to win the fight. The investigation showed that a number of senators owned companies that depended on high tariffs for their profits. The votes of these senators were influenced by their property holdings. Public knowledge of the situation forced many of them to give up their holdings and stop resisting tariff reform. Congress finally approved Wilson's proposals. HARRY MONROE: Lower tariffs reduced the amount of money taken in by the federal government. So the Senate also approved a tax on income, or earnings. A constitutional amendment had been passed earlier to permit such a tax. 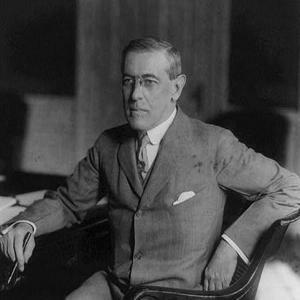 President Wilson and the Democratic Party were pleased with the new tariff and income tax bills. But they were far from finished. Next they turned their efforts to reform of the banking industry. For several years, many people had recognized the need for changes in the banking system. The old system of uncontrolled private banks had developed years earlier, before the United States became a major industrial nation. Many people agreed that a more modern system was needed. But they could not agree on details. 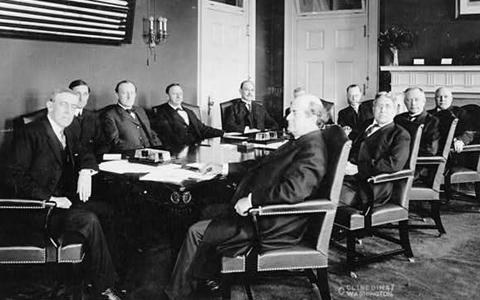 KAY GALANT: President Wilson said control of the nation's wealth was held by too few men. He noted a report that said just two men controlled ten percent of the total wealth of the United States. Wilson said the nation needed a money supply that could be increased or reduced, when necessary, to correct economic conditions. He said a method was needed to let banks help each other during economic emergencies. And he said laws were needed to prevent a few wealthy men from using the economic resources of the country for their own purposes. Finally, Wilson said, "The control of this system of banking must be public, not private. It must belong to the government itself." HARRY MONROE: Wilson called his proposal for a central bank the Federal Reserve System. Under the plan, the nation would be divided into twelve areas. Each area would have its own federal reserve bank. These area banks would not do business with the public. They would serve only as "bankers' banks." And they would issue a new form of money supported by the federal government. 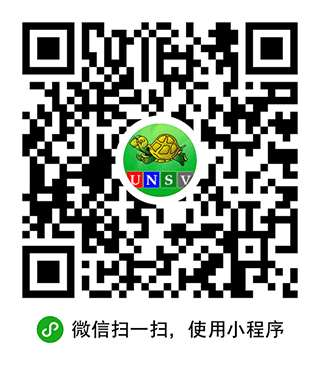 Most important, the leaders of the new system would be chosen by the government--not by private business. KAY GALANT: Bankers, business leaders, and their representatives in Congress sharply criticized President Wilson's proposals. They said government control of the banking system was socialism, not capitalism. But Wilson refused to change his proposals. And he helped to lead the fight to make them law. Finally, Congress agreed. It did not take long for bankers to discover that the new system was much better than the old one. Today, the Federal Reserve System is one of the most important institutions in the United States. HARRY MONROE: For Woodrow Wilson, the fight over the banking system was yet another political success. He had won major reforms in the nation's tariffs, taxes, and banking systems. Now he told Congress that new legislation was needed to control the power of monopolies and trusts. These were the giant companies and business alliances that controlled complete industries. Wilson proposed a new anti-trust law to control the actions of large companies. His supporters in Congress wrote a bill that listed a number of business activities that no longer would be permitted. For example, no longer could a company set prices that would reduce competition or create a monopoly. No longer could corporations buy stocks of competing companies. No longer could they demand that a store refuse to sell competing products. The new bill also protected labor unions from being charged with anti-trust violations. It gave unions more power to organize and protect workers. KAY GALANT: At President Wilson's request, Congress also prepared a law that set up a government agency called the Federal Trade Commission. The commission was given the job of investigating wrong-doing in business. It had the power to force companies to obey the new anti-trust laws and other rules. Both the anti-trust law and the Federal Trade Commission helped protect small business owners from the power of business giants. Once again, the proposals caused fierce debate. But, once again, Congress finally voted to give Wilson most of what he wanted. HARRY MONROE: The early months of Wilson's term were one of the most successful times in the history of any president. The new president had won the election by promising major reforms in the economic life of the country. And he had kept that promise. The reforms were not only a victory for Woodrow Wilson. They also changed the face of American business and economics for many years to come. The income tax, for example, grew to become the federal government's main source of money. KAY GALANT: Woodrow Wilson had taught history in the days when he was a professor at Princeton University. He knew his actions as president could influence the country for a long time. But, as a historian, he also knew his own term in the White House could be changed by unexpected events. That is just what happened. Wilson campaigned for president mainly on national issues. But he soon was forced to spend more and more time on international issues. His first big problem was across the United States' southern border, in Mexico. That will be our story next week. SHIRLEY GRIFFITH: Our program was written by Frank Beardsley. The narrators were Kay Gallant and Harry Monroe.